Hooper TL, Denton J, McGalliard MK, Brismée JM and Sizer PS Jr. Thoracic outlet syndrome: a controversial clinical condition. Part 1: anatomy, and clinical examination/diagnosis. J Man Manip Ther. 2010 Jun;18(2):74-83. 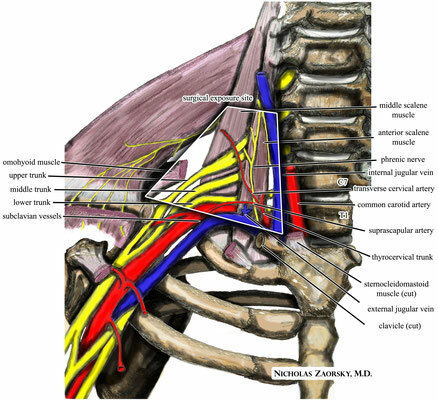 Hooper TL, Denton J, McGalliard MK, Brismée JM and Sizer PS Jr. Thoracic outlet syndrome: a controversial clinical condition. Part 2: non-surgical and surgical management. J Man Manip Ther. 2010 Sep;18(3):132-8. Physiopedia. 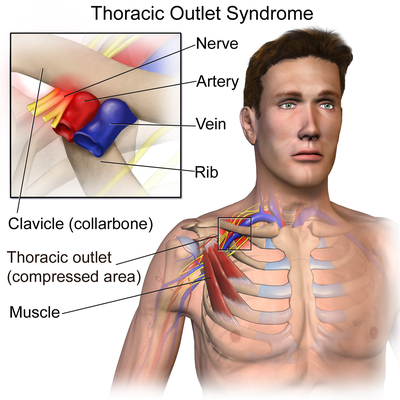 Thoracic Outlet Syndrome. 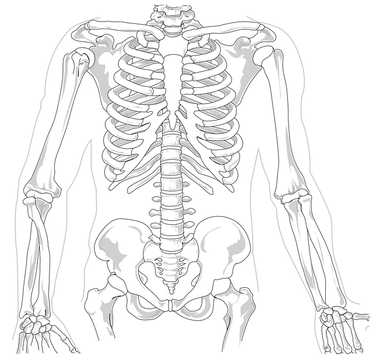 Retrived from: https://www.physio-pedia.com/Thoracic_Outlet_Syndrome.